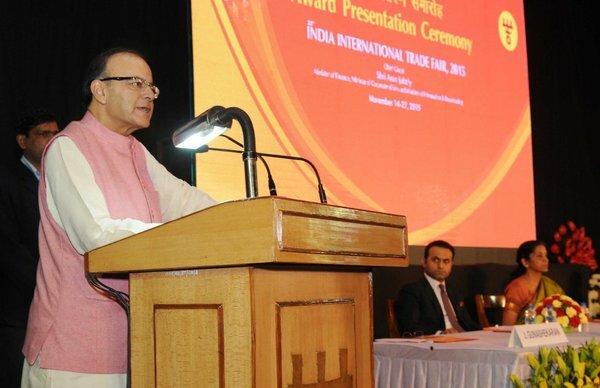 Power Pavilion of Ministry of Power has won Gold Award at the India International Trade fair (IITF) -2015. Shri Rajpal, Economic Advisor & Shri C.J. Jose, Director, Ministry of Power received the Award from Shri Arun Jaitley, Union Minister of Finance, Corporate Affairs and Information and Broadcasting and Smt. Nirmala Sitharaman, Minister of State (IC) for Commerce & Industry at a function here the other day.